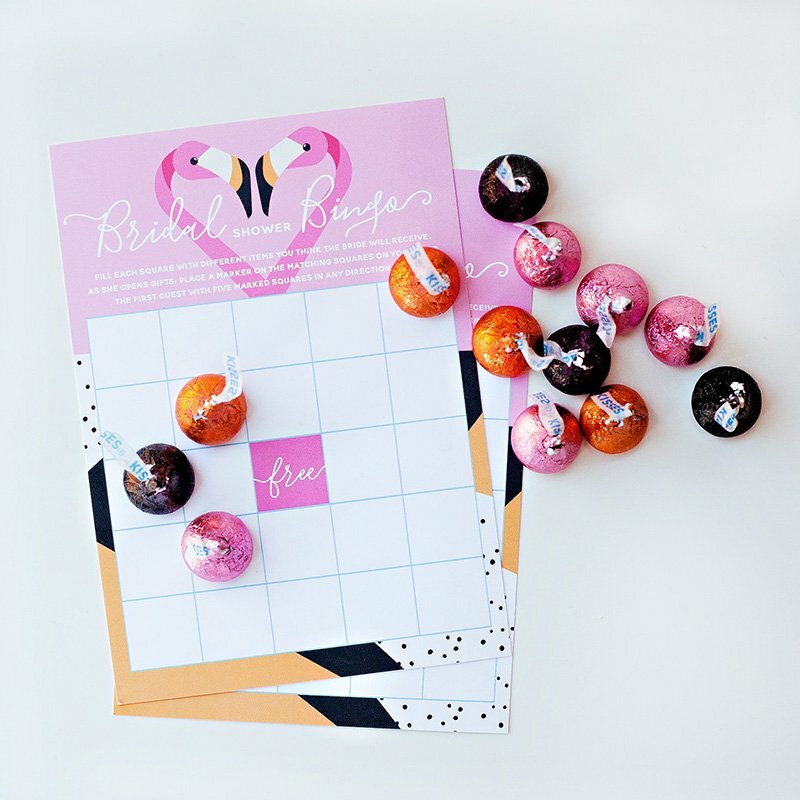 These Flamingo Party Favors are a fun way to give your flamingo party guests a sweet send-off! The pink Hershey kisses provide a nice “tail feather” shape to start off the flamingo body, then I filled the rest of the body with more pink Kisses + pink Rolos and just shaped it by hand. 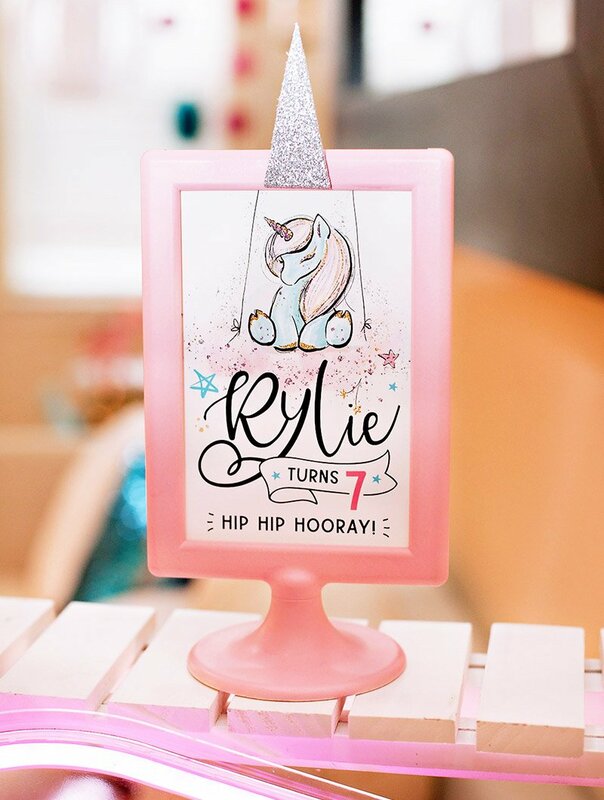 The goal is a general half-moon shape, but it definitely doesn’t need to be perfect! 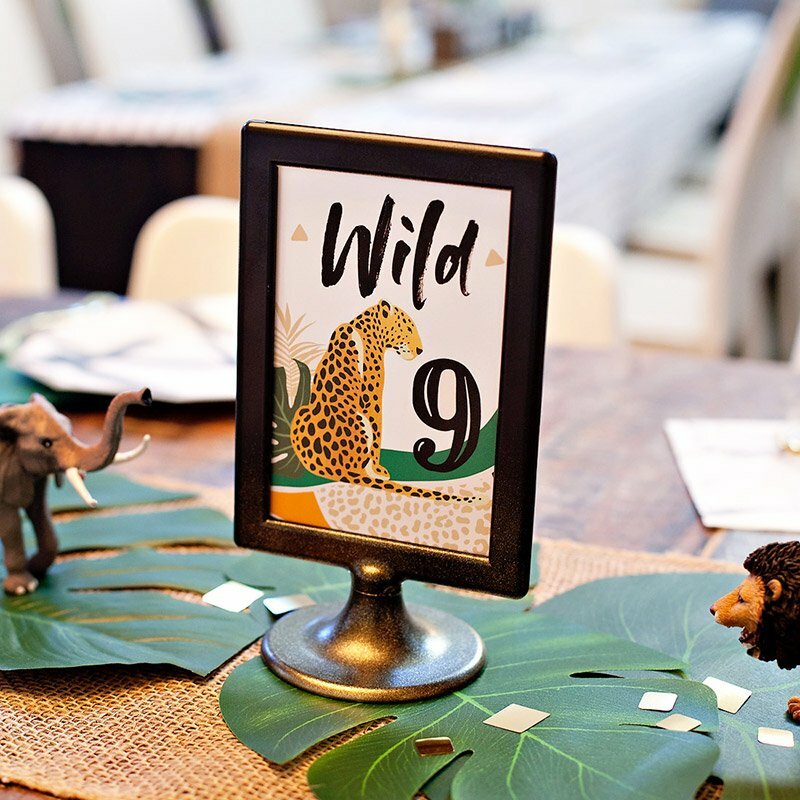 Scroll down for full DIY details + a matching printable flamingo Favor Sign and Bridal Bingo Card. 1. Print and cut out the Flamingo Heads. 2. 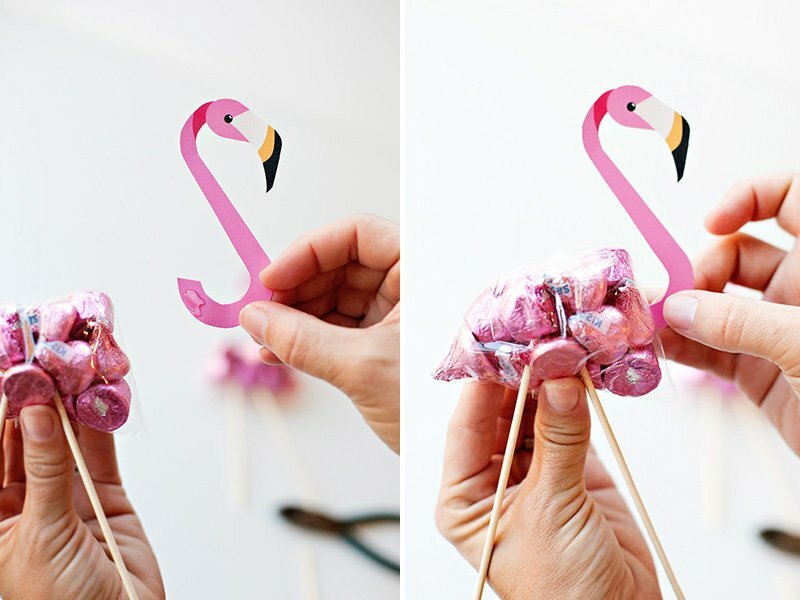 To form the body of the flamingo, drop a single Hershey’s KISS into one corner of the cellophane bag, pointy side facing down. This will form the tail end of the body. 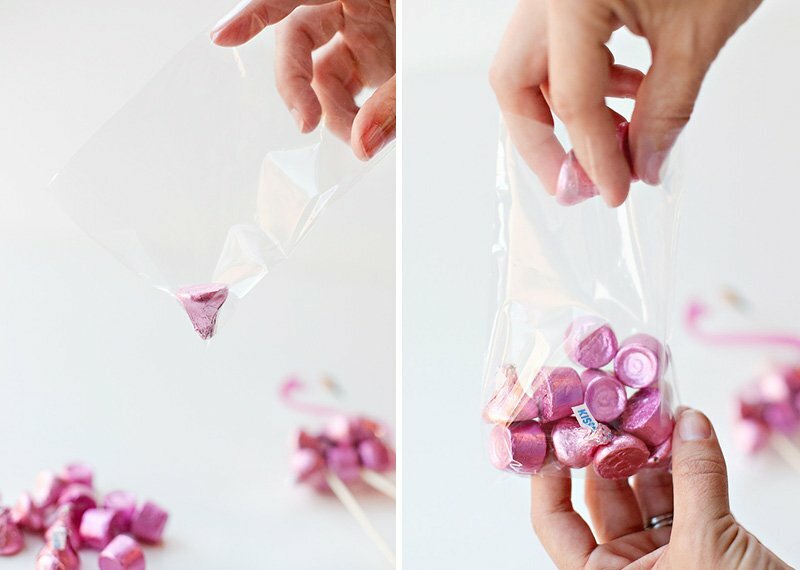 Continue filling the bag with pink KISSES and ROLOS until you have 12 pieces total. 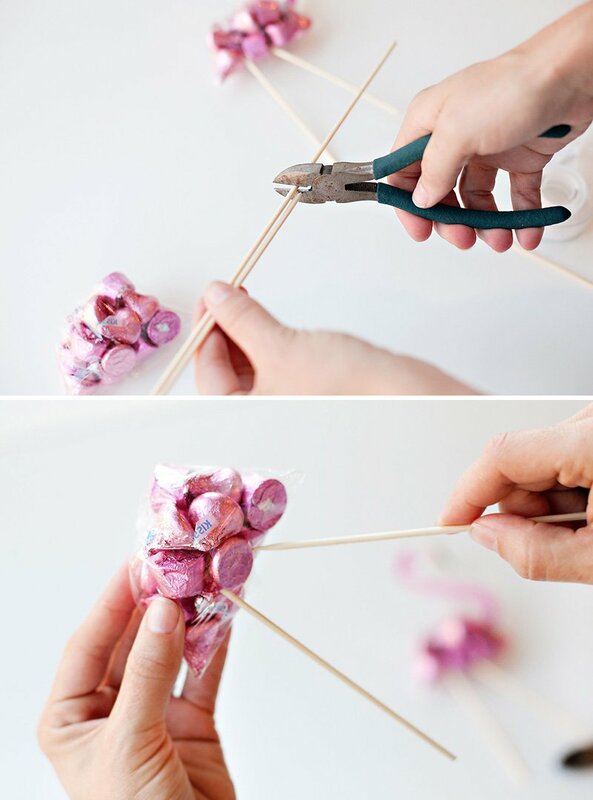 Shape the bag of candy into a half circle, then twist the excess cellophane tightly and tape it down in the back. 3. 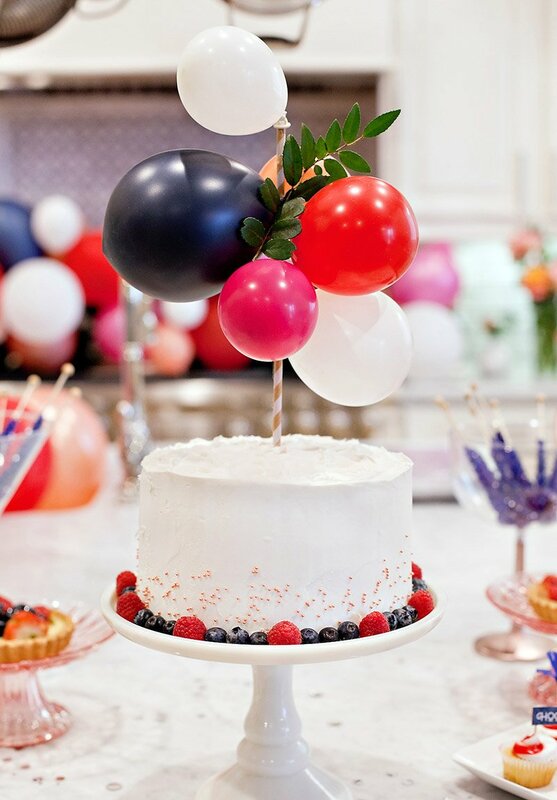 Using wire cutters or sturdy scissors, trim the tops of 2 bamboo skewers down to 6” tall. 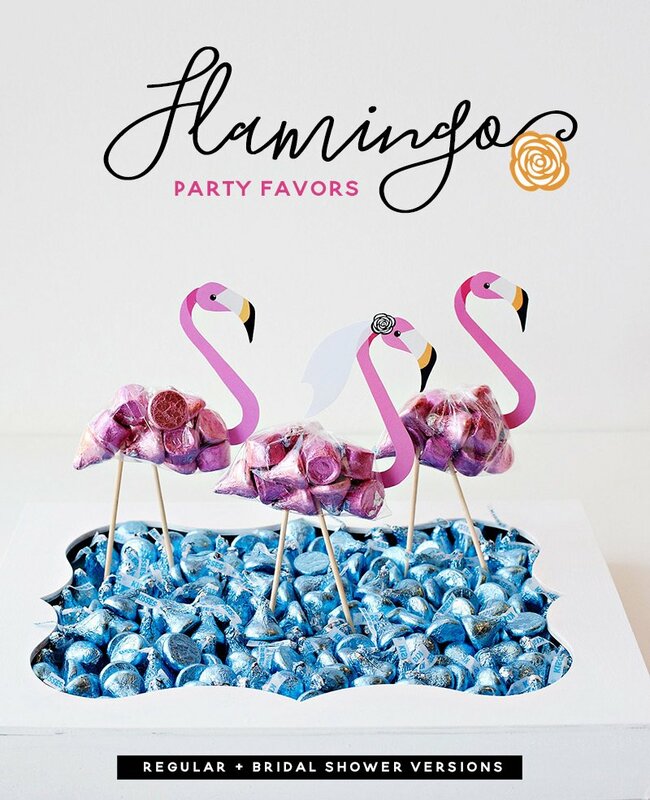 Insert the pointy ends of the skewers into the bag of candy to create the flamingo’s legs, piercing 2 pieces of chocolate to keep the legs securely in place. 4. 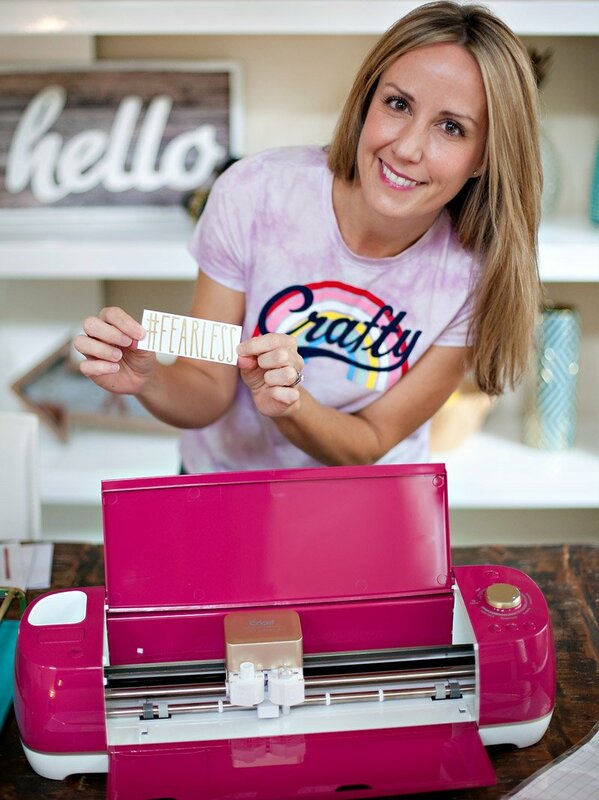 Hot glue a paper flamingo top to the body. Done! 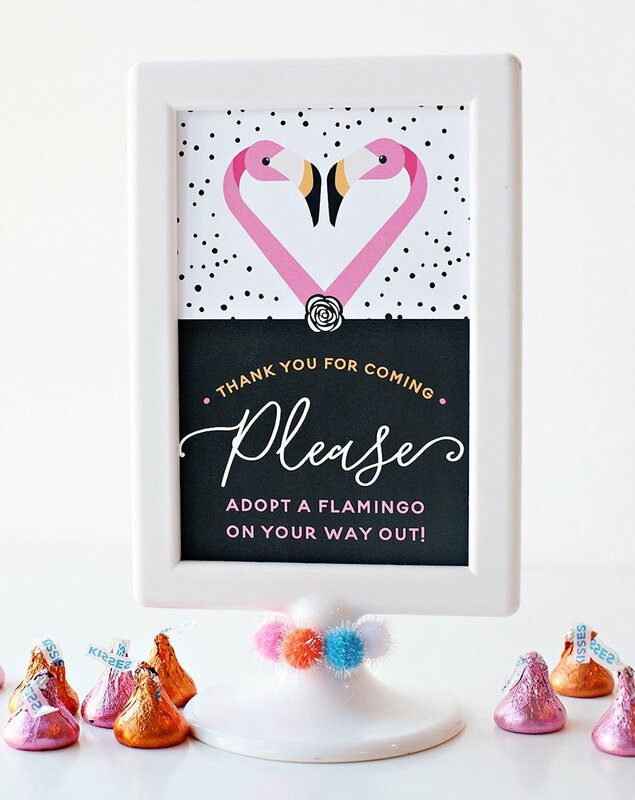 Download the matching 4×6” Flamingo Favor Sign. 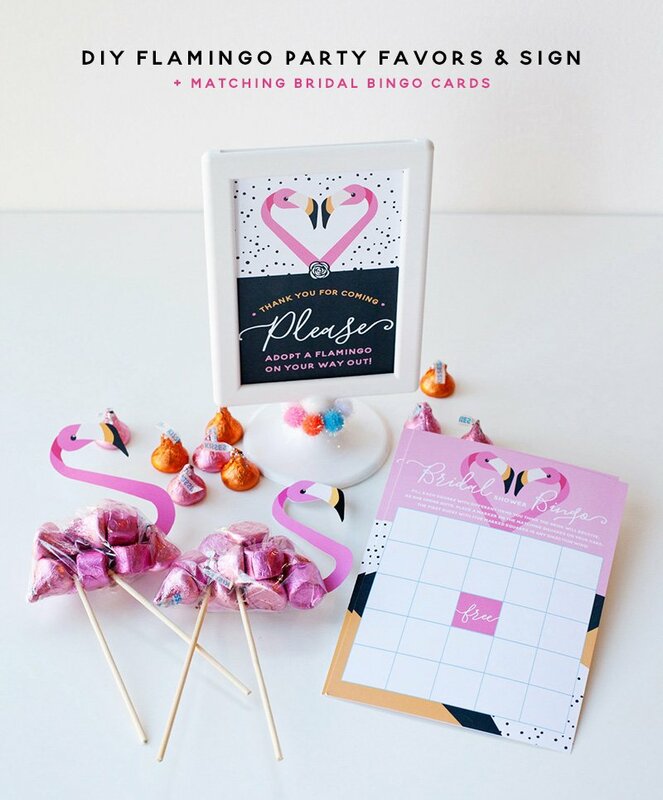 Download the matching Flamingo Bridal Bingo Cards. I liked your way of telling ideas related to flamingo party. 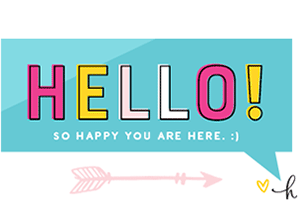 You have highlighted everything in a simple way. 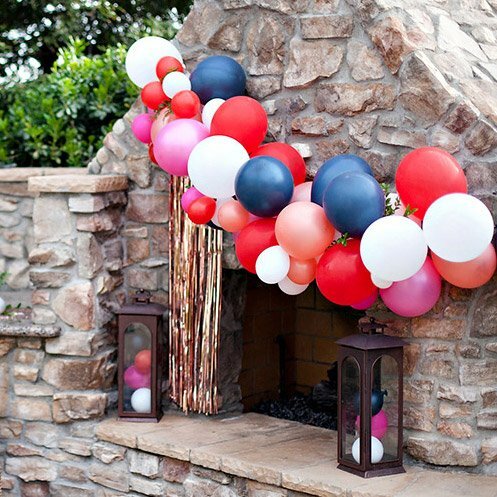 This is absolutely simple but look stylish. Hi, I just loved these colorful creatures.They are so elegant yet so simple. Good work,Cheers! !